Woody Guthrie lived in Portland back in 1941, and the house where he and his family stayed still exists in SE Portland. This 12-mile loop ride will combine a visit to the outside of that house with a visit to the nearby Woody Guthrie Place. ROSE Community Development will give us an overview of this soon-to-be-open sustainable housing complex that has achieved LEED Gold certification. The ride also includes a visit to Knapp Falls, a waterfall at the base of Mt. Scott not far from Woody’s house. 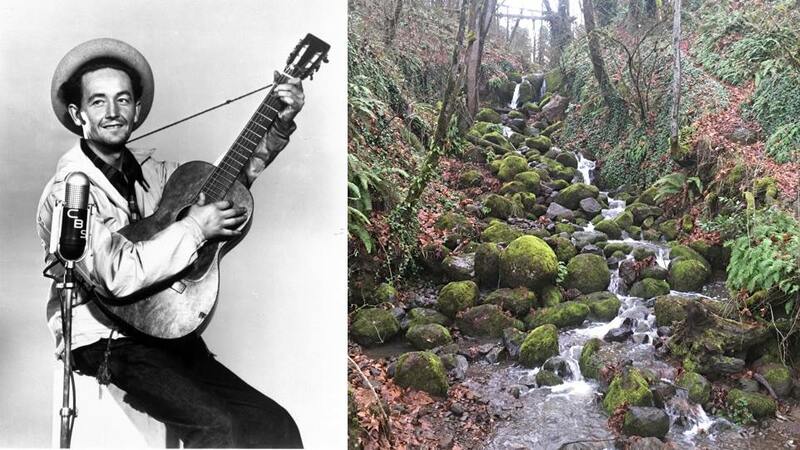 It easy to imagine him sitting next to those falls composing some of the 26 songs he wrote while in Portland. Knapp Falls is part of the Indian Creek Natural Area which now has an improved quarter-mile nature loop trail we can walk around.